I've ordered the HP 350XL black and HP 351XL colour cartridges for my Photosmart 420 from you before. Can you order the same for me again? Thank you. I'm looking for HP C4280 cartridges. Would this be right? 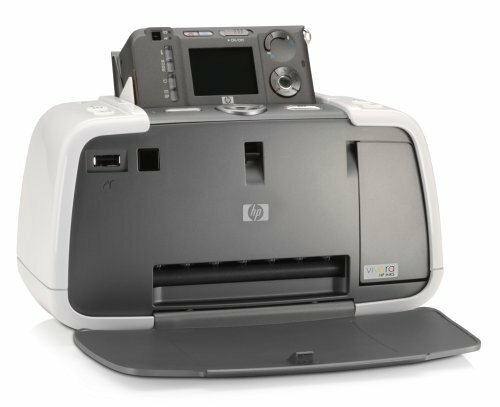 Photographers seeking a compact and midrange printer to produce lab-quality pictures will appreciate the HP Photosmart 420 as an option. It is user-friendly, can print directly from a digital camera, and is speedier than previous Photosmart printers by the same manufacturer. The sleek HP Photosmart 420 is integrated with the Vivera print cartridge technology, which is exclusive to HP. The company claims that it makes the colours last longer and appear more vivid, especially when used with HP-manufactured paper. The HP Photosmart 420 is compatible with Bluetooth and PictBridge, and the 2 high-speed USB ports (at the back and on the front) provide extra wired connectivity options. The screen can be propped up to make viewing and editing pictures much easier. The HP Photosmart 420 retained many of the features of previous Photosmart models, with the addition of a remote control, TV connectivity, and 5x zoom. Users can also rotate their pictures 'clockwise. The HP Photosmart 420's print speed is impressive at 60 seconds per page (normal mode). Borderless printing is supported. Like most models in this line, the Photosmart 420 cannot readily handle black and white printing. If you want to print monochrome pictures, you have to replace the ink cartridges with optional grey cartridges (sold separately). The Photosmart 420's print quality is not very impressive, either; some users report graininess and over-saturation.